Ready to Change Your Latitude? The Carrie Courtney Team at Changing Latitudes Real Estate is a full-service, boutique real estate brokerage firm specializing in residential and vacation properties throughout Central Florida. Our primary mission is to combine the top agents, cutting-edge technology, and a new way of doing business to better serve our customers. We're “changing” the face of real estate by empowering and educating our clients so they can make an informed decision to live where they love. With Carrie & Company, it's not about the transaction; it's all about serving our clients. So Grab A Margarita, Sit Back and Enjoy our One Stop Website! The information contained herein has been provided by MFRMLS. IDX information is provided exclusively for consumers' personal, non-commercial use, that it may not be used for any purpose other than to identify prospective properties consumers may be interested in purchasing, and that the data is deemed reliable but is not guaranteed accurate by the MLS. 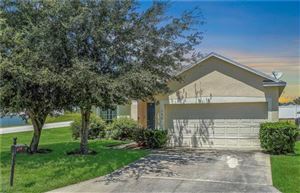 Listings last updated Apr 24, 2019 1:48:am.